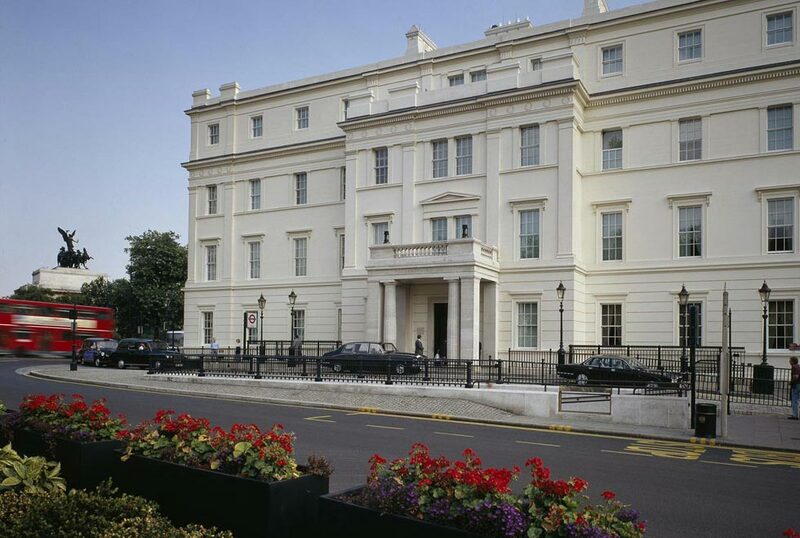 Opened in September 2009, in London’s iconic hotel The Lanesborough, Apsleys, A Heinz Beck Restaurant is the first restaurant outside Italy created by internationally renowned chef, Heinz Beck. 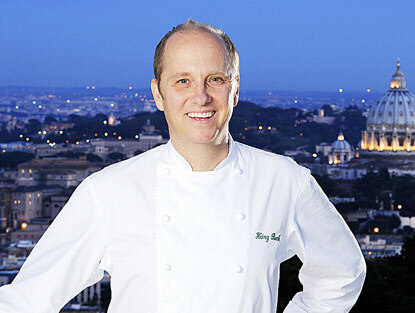 Holder of three Michelin stars at La Pergola in Rome, Beck soon earned the restaurant its own Michelin Star, when in February 2010 it became the fastest London establishment to be bestowed with the award. Apsleys, A Heinz Beck restaurant is overseen by Beck and his hand picked brigade of chefs, the majority of whom are Italian and many of which have worked under Beck for many years. The Executive Chef, Massimiliano Blasone, is a prodigy who has worked with Beck for 11 years and is responsible for ensuring the quality and consistency of his menu. Blasone was formerly the Executive Chef at Castello Banfi, the Tuscan estate producing Brunello di Montalcino wine. Together with Blasone, Beck has created a menu that focuses on lighter Mediterranean-inspired dishes and is concerned with keeping dishes healthy and as approachable as they are exciting. The menu is traditionally Italian with antipasti, soup, pasta, meat and fish main courses as well as desserts. Signature dishes include ‘Seabass Cannolo with celery and melon’, ‘Black cod with chickpeas’, ‘Slow braised veal cheek with apple puree and Jerusalem artichokes’, and the magnificent Carbonara Fagotelli of melt-in-the-mouth pasta parcels. At lunchtime, Apsleys’ ‘Menu del Giorno’ is a popular choice, while Beck’s seven course tasting menu is ideal for celebratory dinners. The wine list has enormous depth and includes some of the rarest vintages in the world. The creativity and luxury of the menu combines perfectly with the grandeur of The Lanesborough creating an experience that is perfect for both a formal business meal and relaxed social dining paired with exemplary service reflecting the unrivalled world-renowned offering of the hotel. Apsleys’ stunning Venetian-style dining room, with its glass roof and plush upholstery, is one of London’s most beautiful dining spaces, an elegant setting for any occasion. Designer Adam Tihany was enlisted to transform The Lanesborough’s grand dining room, resulting in a handsome, restrained art deco interior featuring breathtaking chandeliers. The company has been responsible for the design of some of the world’s most famous restaurants including Le Cirque, Jean-Georges and Per Se in New York and The French Laundry in California. Apsleys has two private dining rooms and two wine tasting rooms which offer an impressive variety of wines, many of which are available by the glass. The Lanesborough has long enjoyed its status as one of the world’s most luxurious and lauded hotels and the involvement of Heinz Beck at Apsleys has only furthered this enviable reputation. Design Restaurants members are invited to enjoy a complimentary middle course, between starter and main course, when dining from the A La Carte menu for Lunch from Monday to Friday and Dinner from Sunday to Thursday.